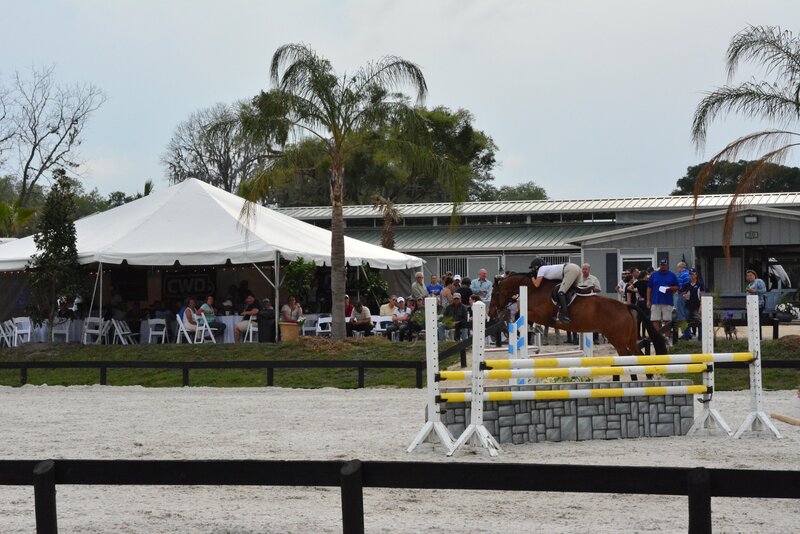 Ocala, FL – February 22, 2017 – The Holloway’s Equi-Venture Farm along with the Westphalian Registry and John Jamieson’s International Horse Sales will present the second annual Sale Horse Showcase, Barn Tour and BBQ on Friday, March 3, 2017 at Equi-Venture Farm, located in Barn 20 at HITS Post Time Farm. Guests will be treated to a BBQ dinner and drinks from 4:30 pm to 8:30 pm as they tour Equi-Venture Farm, one of the private barns offered for lease by HITS, and view a variety of quality horses for sale during the showcase. The Sale Horse Showcase is an opportunity to bring buyers and sellers together in a relaxed environment and build relationships for future transactions. Horses for sale by various professionals will be shown from 4:30 pm – 7: 30 pm and include hunters, jumpers, equitation horses and young prospects. The showcase is a great way to see multiple horses in one location to make the search for the right horse easy. Equi-Venture Farm will showcase some of their championship stock including top equitation mounts that lead Hunter Holloway to the 2016 Maclay Medal Finals win and the WIHS Equitation Championship. Attendees will also view top junior hunters, junior jumpers and Grand Prix mounts as well as choice young stock. Professionals are invited to showcase their horses for sale and can contact Larry Ellerman or Brandie Holloway for details. Visitors can tour Holloway’s Equi-Venture Farm to see first hand what the HITS custom barns are like. Exhibitors and trainers can lease and personalize a barn to feel at home right on the HITS property. HITS custom barn clients may extend their stay before or after the show season to fit their busy show schedules. Generous sponsors such as CWD, Exceptional Equestrian, The Collection and Perfect Products, have donated some fantastic raffle items to give away so stop in and enjoy the evening. Equi-Venture Farm is barn 20 on the HITS showgrounds and can be accessed off of Hwy 326. Dinner is served from 5:00 pm – 6:30 pm, bar is open from 4:30 pm – 8:30 pm, horses shown from 4:30 pm – 7:30 pm, rain or shine. For more information on the event, contact Brenda Mueller at Brenda@M4Eq.com or 262-391-6630. For more information on sale horses or to show a horse in the showcase, contact Larry Ellerman or Brandie Holloway at 785-633-6416 or visit their website at www.Equi-VentureFarm.com. For more information on custom barns at HITS, visit www.hitsshows.com. Equi-Venture Farm is located in Topeka, KS and offers quality young and experienced horses for sale and high end training in equitation, hunters and jumpers. The program emphasizes well rounded horsemanship from the saddle to the barn. For more information or to contact them, visit their website at www.Equi-VentureFarm.com or email them at equiventurefarm@yahoo.com.